CBS and Paramount might not think it’s worth their time to make an HD version of Star Trek: Deep Space Nine, but the folks behind the DS9 documentary are determined to present the show at its best. They’re working on getting the negatives for some of the show’s best scenes, so they can do the job themselves. 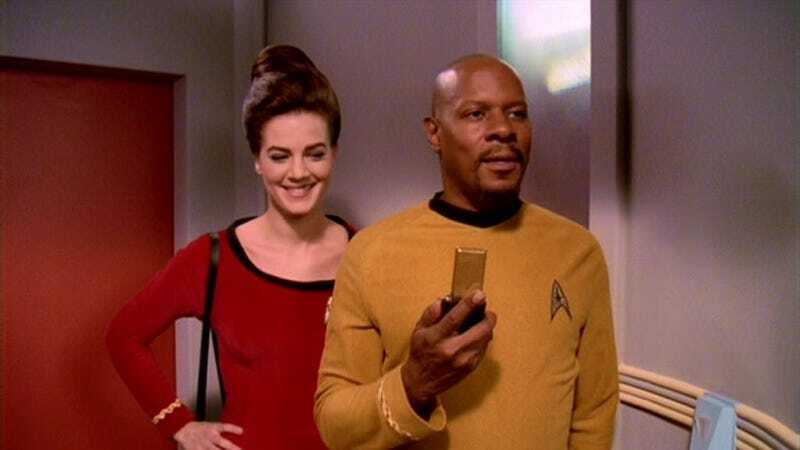 On a recent episode of Engage, What We Leave Behind director Adam Nimoy revealed that he and former DS9 showrunner Ira Stephen Behr are in talks with CBS to acquire some of the original negatives, so they can digitally rescan them for the documentary. It would only be for select scenes, but it would show fans what the show would look like if Deep Space Nine was converted into HD. “It would give the fans another decade of dreaming what the whole series would look like. It would be that little taste, a lovely little taste, that first injection that leads to so many others,” Behr said. CBS and Paramount have made it clear that they aren’t planning on releasing HD versions of DS9 or Star Trek: Voyager. It’s mainly because digital rescanning and restructuring is such an expensive and time-consuming process, and those shows weren’t deemed popular enough to warrant such an undertaking. Nimoy said they’ve wanted HD scenes for the documentary for awhile, but it’s within reach now because they’ve received more money than expected for their fundraising campaign (they’ve more than doubled their original $150,000 goal, with several days to go). It’s one of many ways What We Leave Behind is trying to get creative with the documentary, which is set to come out February 2018. The documentary also includes a workshop where some of the writers got together to envision a possible eighth season, giving fans a peek of where the show would’ve taken us in the future. As far as acquiring the original negatives, Nimoy added that CBS is “open to discussion,” but nothing’s been finalized yet.